It's one of the first things a breastfeeding mother tends to worry about: "Do I have enough milk to feed my baby?" It was only a few weeks into my now 19 month breastfeeding journey when my mom asked "Are you sure he's getting enough? He wants to nurse all the time." Of course I began to panic and wonder the same thing. I was so lucky to have amazing and knowledgeable women supporting me as I pushed through those early months but, unfortunately, that's not always the case. I'm a member of several online breastfeeding support groups and am involved in my local breastfeeding community as well. I cannot tell you the number of times a woman has come seeking advice, often in a panic, because she didn't think she had enough milk to feed her baby. Often she states that she can only pump "an ounce or two at a time - even if it's been a few hours since a feeding." I'm not sure where this idea that a pump is a good judge of milk supply came from but ladies, hear this, IT'S NOT TRUE!!! A pump is just a device that extracts milk from your breast. And while technology is good, it's not good enough to really replicate the stimulation a baby at your breast as for your milk production and extraction. There are so many things a pump can't duplicate such as the feel of you little one at the breast, the sounds he/she makes right before and during nursing and even the scent you baby has that bonds the two of you. Just because you're only getting an ounce or two when you pump does NOT mean that is all your baby gets when he or she nurses. If you are really concerned about your supply because of slow or no weight gain or not enough wet/dirty diapers please contact an IBCLC to do a few weighed feedings. That is a much better indicator of exactly how much your little one is transferring. Also, it's important to note that as you move further and further into your breastfeeding journey, your ability to respond to a pump my decrease significantly. Again, this does not necessarily mean your milk is "drying up." As before, your little one is the best measure of an adequate milk supply. And besides, the milk you produce for a toddler is much different than the milk you produce for a newborn and they often take much less as they get older and a variety of solids are introduced. So let's stop this myth right now: A pump is NOT a good indicator of your supply. Listen to your baby and not an electrical device when trying to determine if your making enough milk to feed your little one! This is SUCH a good reminder! 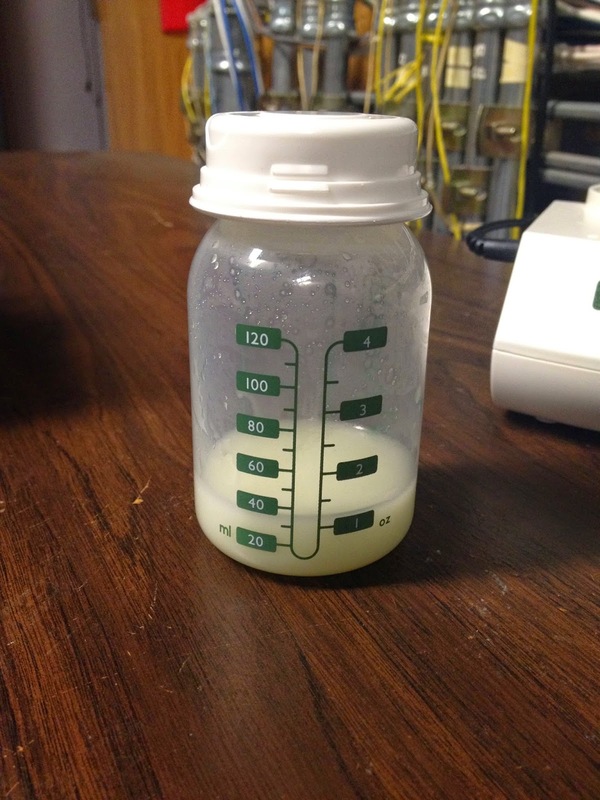 A pump, no matter how great, will never be as efficient as your baby/toddler at extracting milk from the breasts. Likewise, you may feel full and not get much output, but you can also feel empty or "dry" and end up pumping a good amount. What a great reminder that we should trust our bodies to provide.